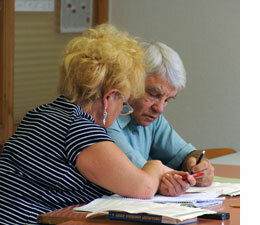 We offer special language training to individuals, couples, friends, or interested parties as requested. In these courses, you set the focus. By choosing a self-defined period of time, scope and intensity, we respond to your rhythm, preferences and ambition. These courses are established after a placement test and/or individual counseling with our experts has taken place. The price is 39 EUR per 45 minutes (or 52 EUR per 60 minutes). Prices are per person. If another person attends lessons, the price per person is one-half. When you book at least 20 lessons of 45 minutes each, we offer a 10% discount.